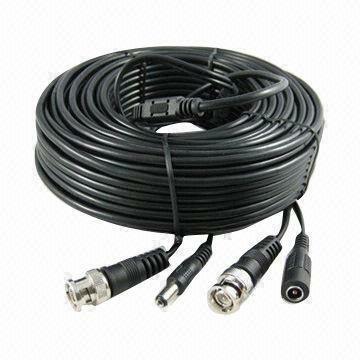 FVS VIDEO & POWER INTEGRAL EXTENSION CABLE. Super High Grade slim profile very flexible Video & DC Power Integral Extension Cable terminated with BNC Connector at each end. 40m length.